South Africa’s school’s sports system is superior to Australia’s. If only our club structure were too, writes HD ACKERMAN. It has been an enlightening time for me in Australia and I now feel equipped to be able to compare apples with apples when it comes to sporting structures between this country and South Africa. The biggest eye-opener has been how Australia lags behind South Africa in the quality of schools sport. South Africa has some fantastic former Model C schools that are rich in sporting talent. The Australian equivalent are State schools, where sport is seldom offered and students must seek sport participation outside their school. Like South Africa, Australia also has brilliant private schools, where they offer sport, although it plays a distant second to academics and is often frowned upon by those who believe sport has no place at a school. How naive. 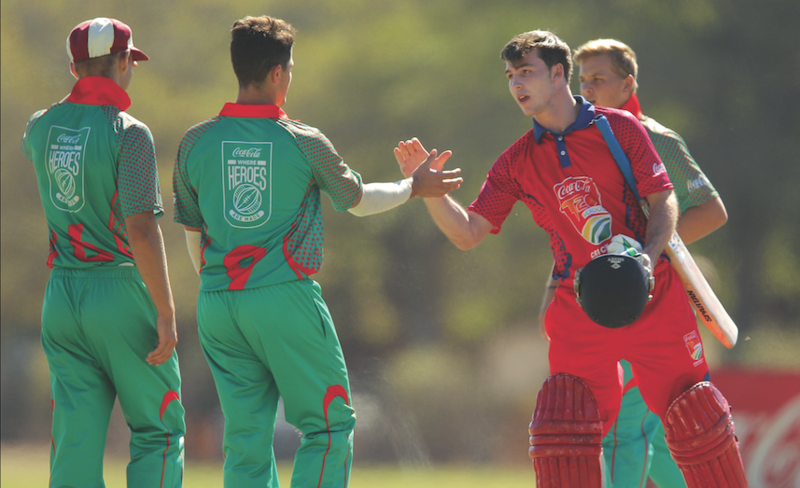 I was recently consulted about a top private school going on a rugby and cricket tour to South Africa and I replied that it would be a great experience for the boys – but they’d get hammered by all the top schools, whether former model C or private. I said rugby would be a bloodbath. So, where is all Australia’s young talent, you ask. Well, Australia’s system is like South Africa’s was. There is a vibrant club structure, which means schoolboys bypass the schools sports system and go straight into the clubs. This literally pits men against boys and similar skill levels compete, no matter the age. While this is exceptional for maturing young men/women and is integral to one’s development, the young Australians not being able to play school sport is sad for their development as they never get the chance to play in teams with their age groups and school friends. The advent of professionalism has seen kids specialise too early in one sport, which might be the reason we are seeing many more injuries today than we used to. They are being forced to identify one particular sport to play at an early age, unlike in South Africa where you have schoolboy talent that allows a boy to play first-team cricket and first-team rugby as well as other sports. In Australia, they’re forced to choose and the professional era makes them grow up too quickly. This is starting to happen in South Africa as we strive to ‘catch up’, but it’s to the detriment of the young athlete. The end result is that older, experienced players in the club structures – and into the State set-ups – are being eased out. The days of the hardened, grizzled veterans are coming to an end. Remember players in the mould of Simon Katich and Chris Rodgers? They were the core of Australian cricket. It’s no coincidence that Australia’s levels have dipped and will continue to do so. These players are vital to any team in performance as well as for the growth of the young talent around them. At the 2004 Olympics Australia finished fourth on the medals table, in 2008 they dropped to sixth, in 2012 they were eighth and in 2016 they slipped to 10th. That tells the story of where sport in that country is heading. Perhaps the attitude and sporting culture has changed too. The kids used to be tough and resilient, but now they are a lot more protected and wrapped in cotton at the schools, although I have a feeling this is a global thing. Without a strong schools sports system, those youngsters are going straight into club structures and are expected to compete against the hardened older guys. The younger guys are also being selected for the State sides ahead of some of the veterans and therefore hat toughness which used to be such a hallmark of Australian sport is being lost. In an ideal world, a schools sports structure should be strong and feed into a dynamic club system and the provinces. In South Africa, the clubs are suffering but at least the schools are strong.